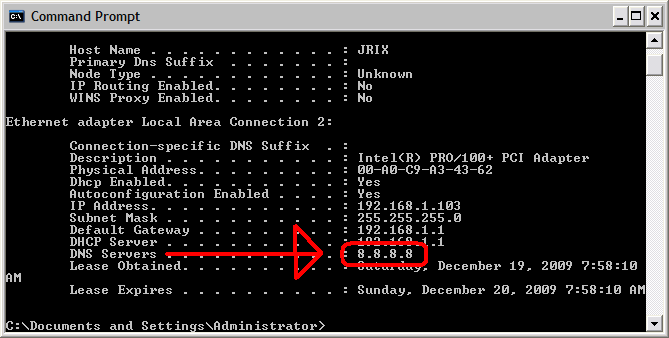 To look up your DNS ip address open the command console (Start->Run->type ‘cmd’). In the console type or paste ‘ipconfig /all’. In this case I’m using Google’s DNS servers located at ip address ‘8.8.8.8’.